When a new Android device comes out, we spend a lot of time obsessing over which ARM chip it runs and how much RAM there is, but the storage speed often has a significant impact on performance too. Although, mobile flash storage controllers haven't been been improving at the same rate as other hardware. 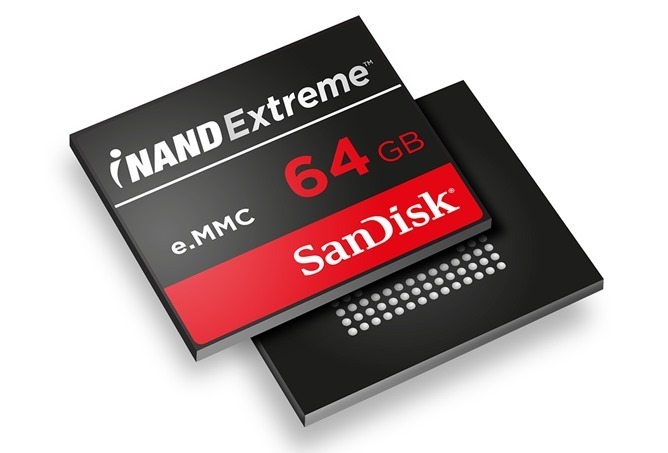 SanDisk hopes to fix that with the iNAND Extreme embedded storage platform, which offers three times the random write speed and twice the sequential read speed of current solutions. When evaluating the responsiveness of flash memory, both sequential and random write/read speeds figure in. Sequential speeds have been edging upward reasonably well, but the random IOPS (Input/Output Operations Per Second) are still stuck at a few hundred. That means storage tends to get sluggish when there's a lot going on or space is running low. Like most existing platforms, iNAND Extreme is a single-chip with the storage and controller built-in. This version of SanDisk iNAND could boost random IOPS from a few hundred to several thousand. The implementation of eMMC 5.0 includes a 400MB/s host interface with the device, but there are also dual 300MB/s internal channels connecting the controller and NAND. The extra horsepower in the eMMC is designed to help with garbage collection so the user sees less storage lag. A move to page mapped architecture is also partially responsible for the boost in overall speed. SanDisk makes many of the eMMC/NAND packages used in Android devices, so this new version is likely to be adopted widely. 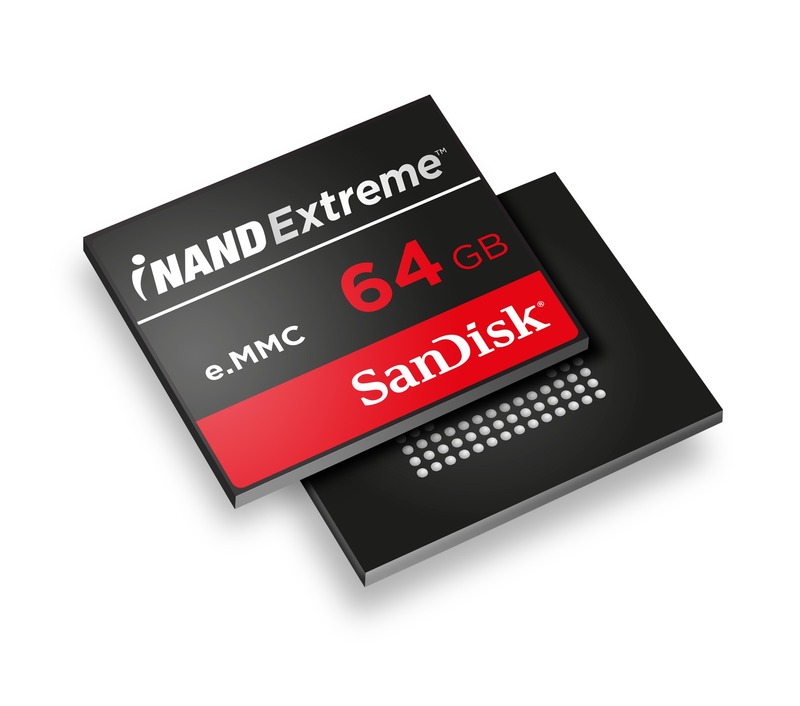 The company is sampling 16, 32, and 64GB versions of the iNAND Extreme. It should begin finding its way into devices sometime in Q2 2014.